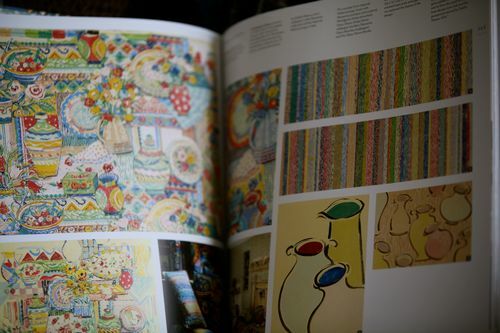 I found this wonderful book today and the designs took my breath away. Sometimes, just out of the blue, you connect to something you come across. I found this book this morning as I was passing the book store on the way to the chemist. On opening it, my heart skipped a beat and I had to take it home with me. How wonderful to be privy to the creative genius of sisters Sarah Collier and Susan Campbell who worked alongside each other for 50 years. 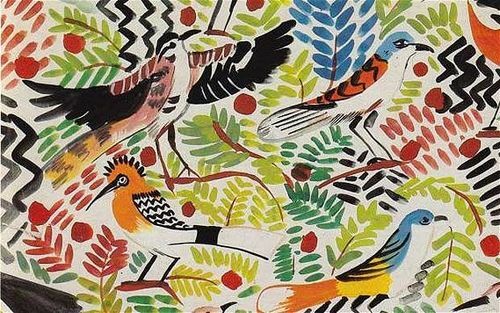 I adore their patterns, the painterly and sketched effect of their fabric and of course the colors. 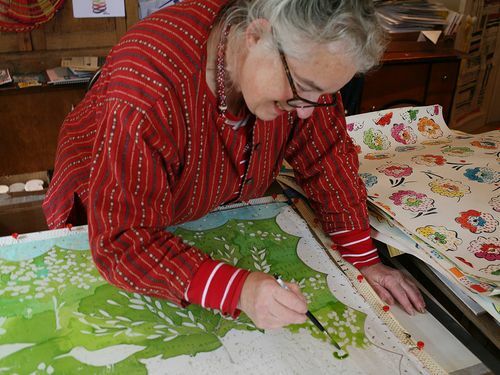 There are not many fabric designers who draw the patterns for their own fabric line. 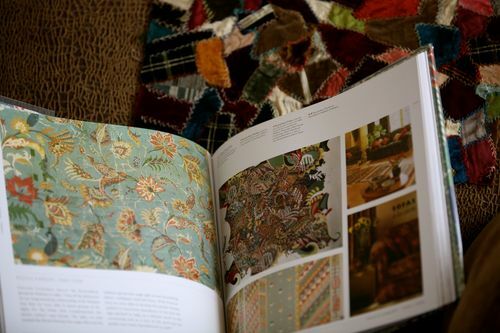 Now I have more ideas floating around in my head, and I have been working on my own fabric designs as I travel…. I'm working on stripy leg fabric, drips of water in blue and wobbly teapots right now. The blue sweater fabric is finished but I can't share it until its out. I use the Ipad to do the basic sketching and design and then change to paper, pen and ink when I'm happy with it. Talking of Ipads…. 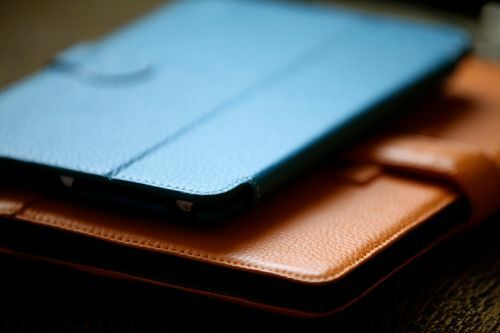 I'm thrilled with my new purchase of an Ipad Mini (the blue one….) it ticks all the boxes and is very light… its just a little heavier than my phone so it fits in the hand bag at all times. 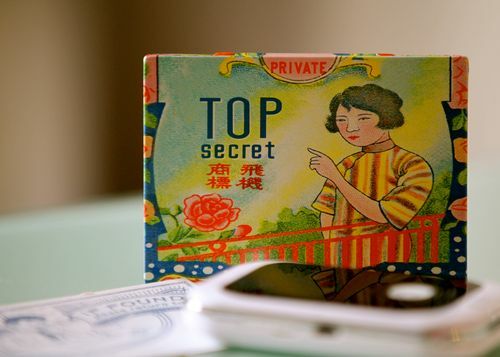 I will put a sim card in it in the USA.. but here in Oz, I use a portable 4G device carried in this gorgeous tin given to me by my dear friend Caroline. Today, I spent time with my Aunt and cousins… it was just lovely, then again it was the reason we came down here. We visited the Queen Victoria Gallery for a short time but will go back tomorrow for an extended visit. The gallery has a number of paintings by my relatives and I'm anxious to see them again. Most of them are colonial and its rather a buzz to stand in front of the artwork of a descendant. Pam, how do you sketch on your iPad–which apps do you use? I learned of several good apps when you wrote about your favorites some time ago. Thanks! Barb, see the next blog post. Next PostPam, how do you sketch on your iPad?